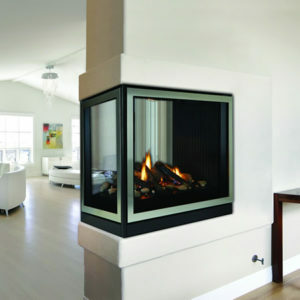 The Madison Clean-Face Premium Contemporary includes a tempered glass view window and a unique burner that delivers a rich flame pattern. Choose between a hand-painted ceramic fiber driftwood log set or river rock set (required, but sold separately). 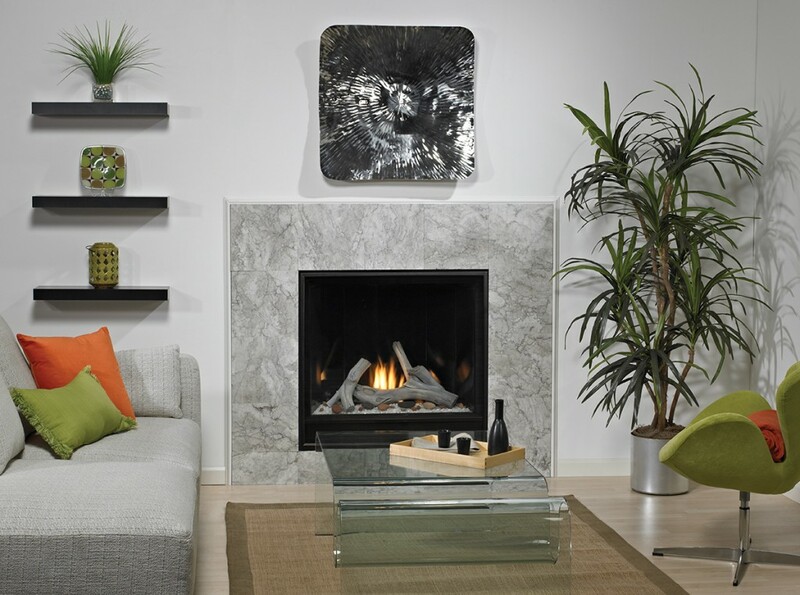 This contemporary fireplace includes a deep black polished porcelain-steel liner with added angles to enhance the reflected flames. Create highlights on the glass media and porcelain liner with the optional lighting kit. 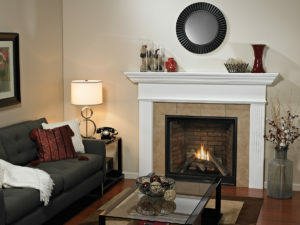 Add the option variable-speed blower to help circulate warm air throughout your living space. Both the kits include dimmer controls. 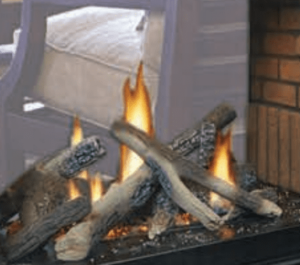 This fireplace requires a Barrier Screen, Decorative Rock Set and Crushed Glass to complete the unit. The Premium Clean-Face Tahoe includes a tempered glass view window and a unique burner that delivers a rich flame pattern. The ceramic fiber rock set is required (but sold separately). Each rock piece is hand painted. The contemporary fireplace includes a deep black polished porcelain-steel liner with added angles to enhance the reflected flames. Create highlights on the glass media and porcelain liner with the optional lighting kit. And the option variable-speed blower helps circulate warm air throughout your living space. Both the kits include dimmer controls.